Tasked with supporting the fulfillment across a growing number of distribution channels, warehouses are increasingly looked upon as strategic business assets versus cost centers. Where in the past a warehouse was simply a storage facility for goods as it made its way through the supply chain, the modern-day facility must be agile and capable enough to support brick-and-mortar, e-commerce, B2B, home deliveries and parcel shipments—to name just a few. Achieving this balance requires one of two things: abundant labor and real estate, or advanced technology that helps to offset issues like high labor costs while also streamlining the process and making it more efficient than ever. While most companies are at least thinking about how to make that happen, many are still using antiquated processes like pen-and-paper and spreadsheets to manage inventory and track product movement within the four walls of the warehouse. The good news is that warehouse management systems (WMS) and equipment vendors are not resting on their laurels, nor are they standing by and allowing companies’ warehousing strategies to fall into the dark ages. From autonomous mobile robots to complete supply chain solutions to advanced inventory tracking systems, the options continue to proliferate and drive logistics professionals to develop smarter, more efficient facilities. 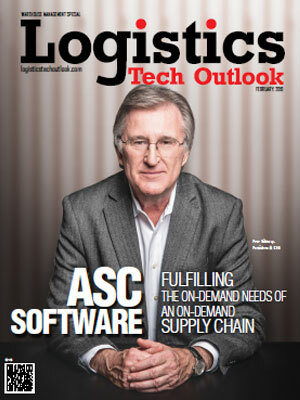 With that in mind, a distinguished panel comprising CIOs, CEOs, CTOs, analysts, and Logistic Tech Outlook’s editorial board has evaluated companies that provide immense value to clients in the warehouse management systems arena. The selected firms demonstrate an outstanding ability to innovate and customize their solutions to suit clients’ requirements. 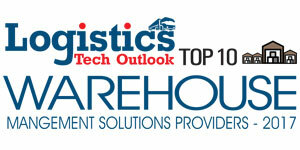 In this edition of Logistics Tech Outlook, we present to you the Top 10 Warehouse Management Solution Providers - 2019.